What advice does the Bible offer about wealth and our attitude towards money? Is money really the root of all evil? Do you know what God thinks about bankruptcy? What does the Bible say about charitable contributions? How much should we give? 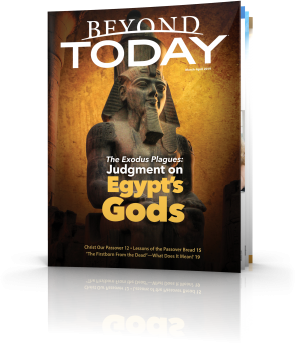 Be sure to read this booklet to discover biblical answers to these important questions and more. Whether due to the overall state of the economy or their own mistakes with money, many find themselves mired in debt and worried about their financial future. Where can you turn for practical guidelines to manage your money? 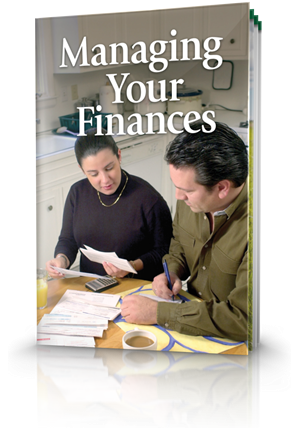 The Bible offers timeless and practical advice about managing your finances. What did Jesus Christ mean when He said, It is easier for a camel to go through the eye of a needle than for a rich man to enter the kingdom of God? What does the Bible tell us regarding our financial priorities? If we are able, God expects us to work so we can provide for our own needs and not unnecessarily burden others. Does the New Covenant Abolish Tithing? Many today believe that tithing came to an end after Christ's earthly ministry and crucifixion. But is this what the Bible teaches? Corban is a word applied to a gift or offering in the Temple that declared that gift dedicated to God in a special sense. Many scriptures and biblical principles show that planning is a crucial key to financial management. And planning requires that we develop a budget so we can properly allocate our resources to meet our current and future needs. Money is a frequent source of conflict in marriage. While it can bring great opportunities, marriage can also bring stress and strain if couples don't approach their finances and priorities realistically. Working as partners is crucial to success. God expects us not only to learn to handle our money according to His instructions, but also to share that knowledge with our children. So what are some of the ways parents can teach their children to handle money responsibly? Many people don't realise the power of compounding and the effect of time. Preparing for retirement is best done early in life rather than later. What are these financial black holes, and how can we avoid them? Before committing to a major purchase, give yourself this self-test to determine whether your purchase would be a wise decision. Finding a credit counselling service that will truly help you will require some effort. Credit counsellors are not a quick fix. 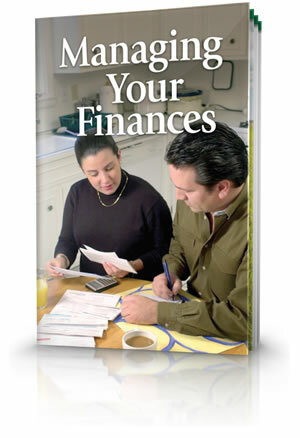 You will still need to have the vision to stick with a budget and work hard to find your way out of financial trouble. Determining your net worth is the first step in designing a personal budget. Use the form below to help begin this process. After you determine your overall financial condition (net worth), the next step is to analyse your monthly cash flow. This will show you which direction you are headed—whether you are accumulating money, holding steady or going further into debt. Use the form below to examine your monthly income and expenses. God expects us to be productive and to use our abilities to support ourselves, our families and others who are in need. But to be truly successful, we need God's blessings—and He will bless us when we use our money to reflect His priorities.